Paint strokes and weathered nodules border this white wash vintage style photo frame. 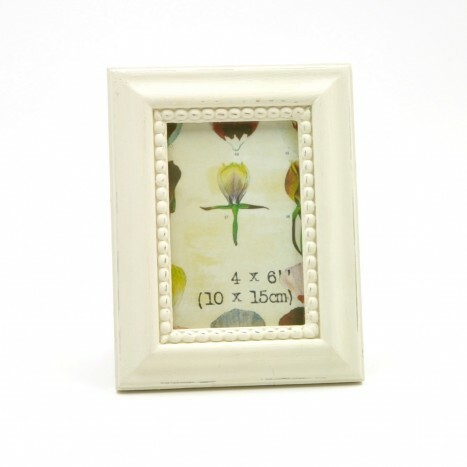 The raised nodules have signs of slight wear and the stroke marks of the paint add a layer of subtle texture to this shabby chic photo frame. Tags: medium classic picture frame, medium white wash photo frame, medium shabby photo frames, medium cream photo frame.